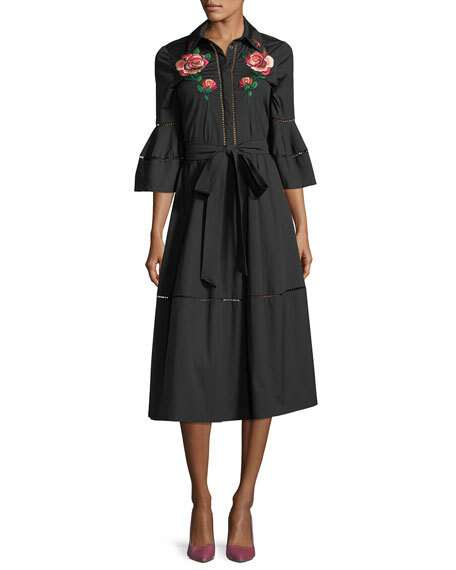 Lela Rose shirtdress with rose embroidery. 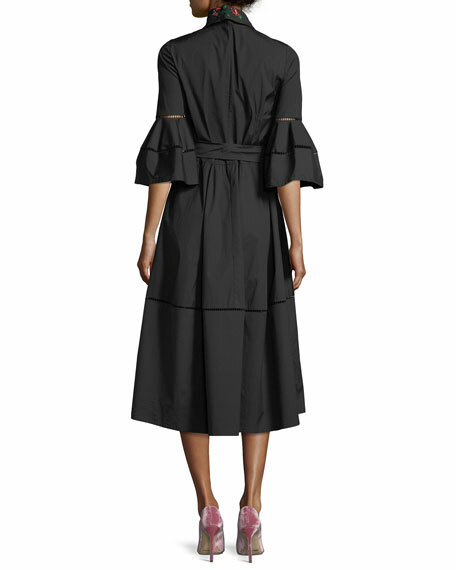 Spread collar; hidden placket with ladder stitch trim. For in-store inquiries, use sku #2351994.